Hotel Centrale holds guests’ culinary needs in great respect: our cooks cater for all tastes. International and regional dishes are always on the menu. An exquisite choice of meats and fish is presented to you every day. But we also pay attention to guests with special diets: gluten free delights, vegetarian treats and goodies for people who want to lose weight are fixed up on request. Lavish buffets of salads, vegetables and side dishes flatter your meals at all times. It goes without saying: Hotel Centrale’s restaurant treasures freshness and quality, which is why we choose our ingredients with utmost care. 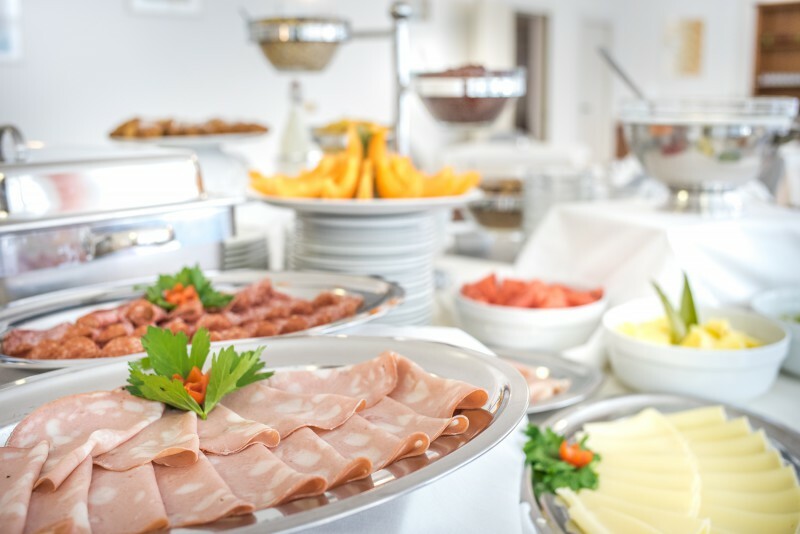 Already since early morning and until at 11.00 the Centrale Hotel Restaurant will pamper you with a rich breakfast buffet, with fresh and genuine products: bread and homemade cakes, cheeses and cold cuts, eggs, fresh fruit juices, yogurt and a great variety of cereals. Fresh fruit and hot drinks are also available. 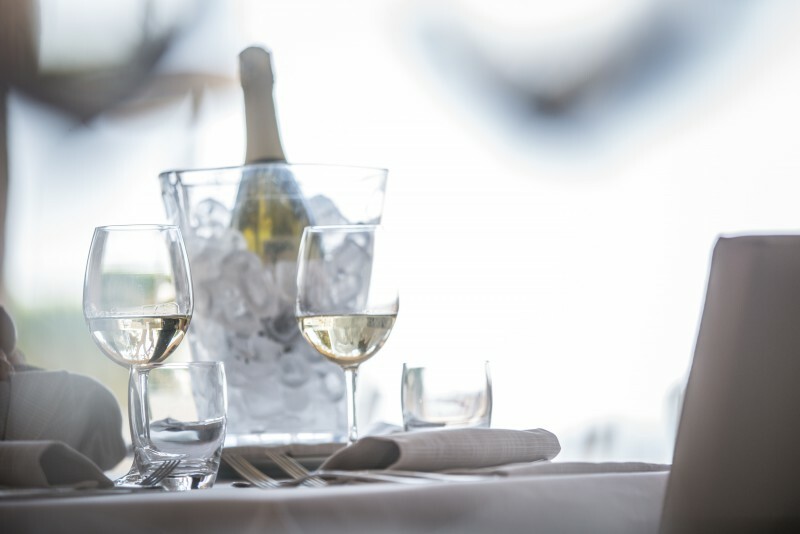 We offer our guests the possibility of Half or Full Board at the seafront restaurant of our partner Hotel Luna; the restaurant is just a few steps away from our Hotel Centrale. Keep in mind lunch is served 12.30pm to 1.30pm. You can enjoy the most delicious dishes for dinner, regional specialties, as well as international recipes. 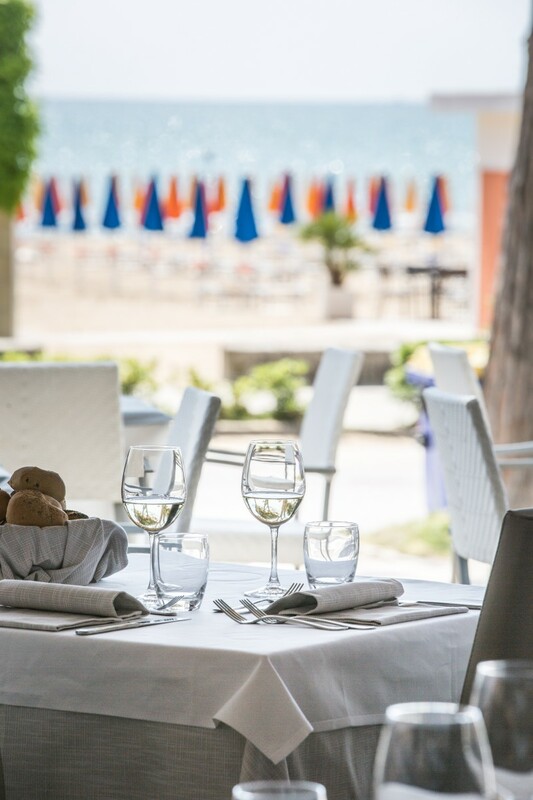 At the dinner at the seafront restaurant of our partner Hotel Luna you have an exquisite choice of meats and fish that is presented to you every day, from 19,30 to 20,30.